The original song ‘Pieces ‘ was recorded by Chikune,an Urban, afropop, award winning artist from Namibia,and was released as part of her latest album ‘Her’. This version is a REMIX which features Tanzania’s beloved, “The African Voice” Mbosso. 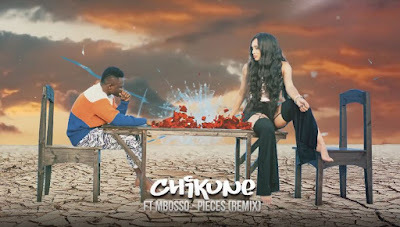 It’s a heart warming song about heartache and strength and through it Chikune brings Mbosso a different sound for his fans to enjoy.